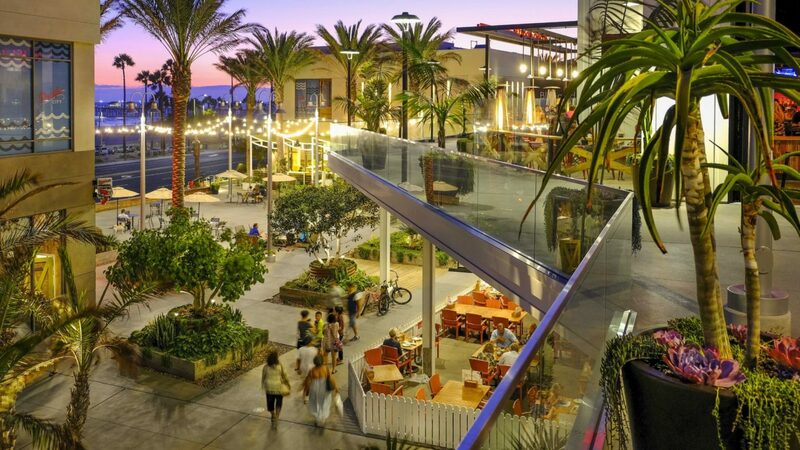 This urban-inspired environment, developed by DJM Capital Partners, sits along the Pacific Coast in Southern California, across the street from the Huntington Beach pier. 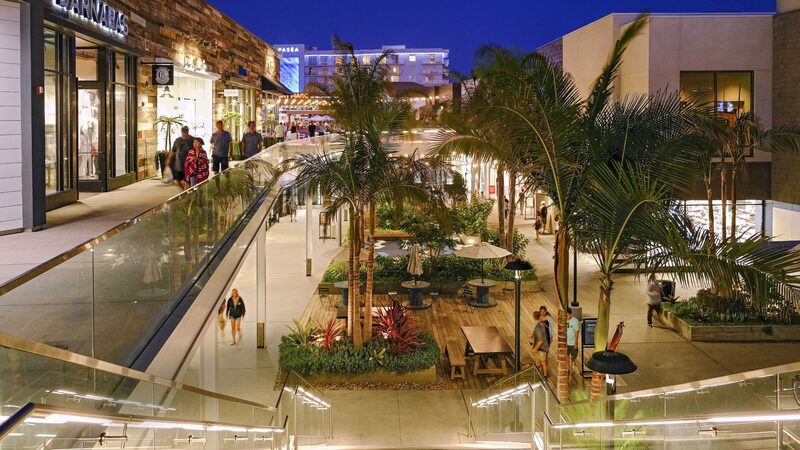 The property is a vibrant, bustling, multi-level destination shopping experience featuring a “California beach bungalow” architectural flair. 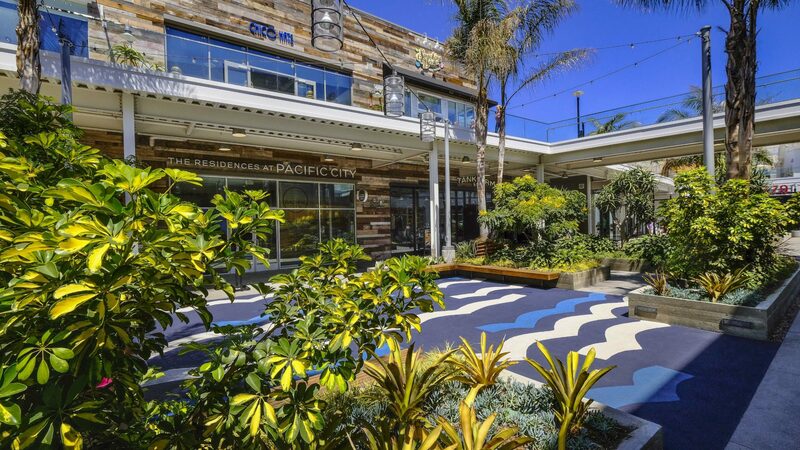 Tasked to create a casual, comfortable, eco-chic garden setting, Lifescapes International designed a fully integrated environment to reflect Pacific City’s cool, hip and sophisticated style that appeals to visitors of all ages. 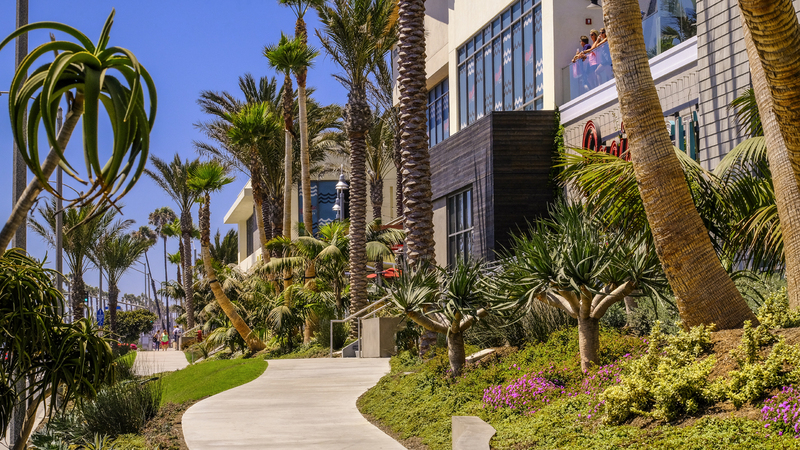 It’s complete with comfortable, sustainable wooden benches, fire pits, umbrella covered patios and an abundance of sitting areas in which to take in the oceanfront views. 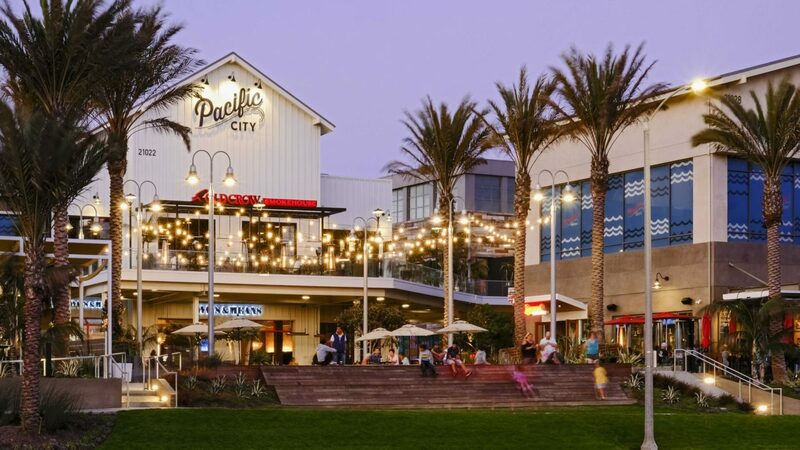 With well over 200 varieties of plant materials, and dozens of palms (some with trunks caressed by colorful Bougainvillea vines and other plants), Pacific City embodies the best of what California is known for- great, entertainment-driven, retail destinations situated amidst year-round gardens.